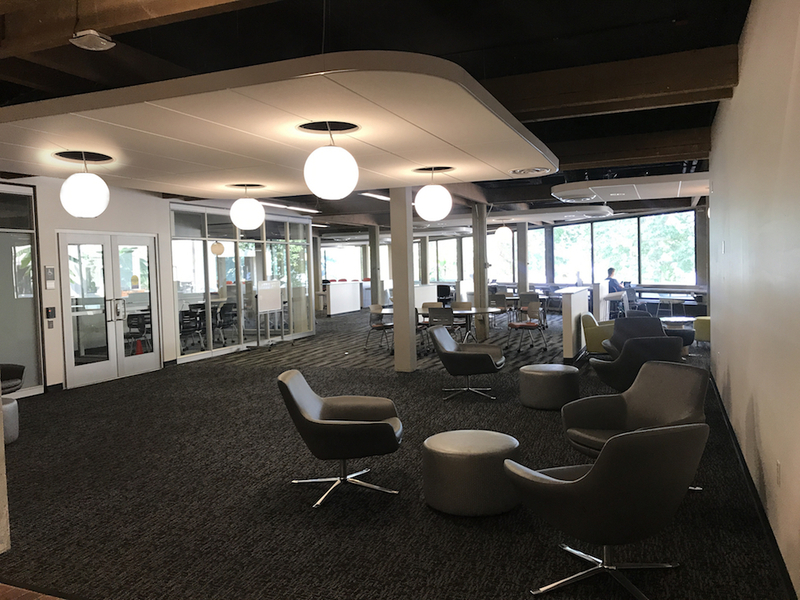 Health Sciences Academic Services & Facilities is very excited to launch an Active Learning Classroom (ALC) late this summer, located in the South Campus Center, room 221. This room pilot project was sponsored by Health Sciences Administration in collaboration with the Health Sciences Schools. 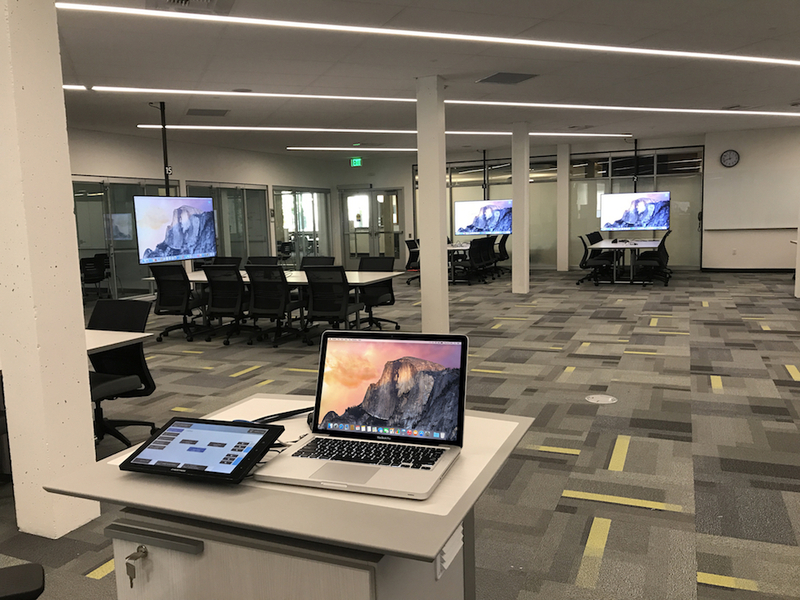 The ALC will have capacity for 120 students; sitting at fixed tables, students will have the ability to share content to one of the 15 other monitors at each station and access to audio mics for collaboration. There will be a movable podium to promote flexibility and active learning. Five small adjoining rooms, with similar furniture and A/V, will be available for breakout sessions. The ALC is currently available for reservation for dates during fall quarter 2017. Please visit our website for all the room specifics and to complete the request form. Please stay tuned for more information about our kick-off event, August 8th and September 19th that will include a tour, technology demos and much more! Instructional Support has formed a Health Sciences wide committee to address the Provost’s new scheduling guidelines (link). The Health Sciences Scheduling Committee has representatives from each school who meet regularly to address impactful issues including, room utilization, transparency of the scheduling process and updating resources to improve efficiency. The three project teams, within the committee, are currently tackling defining each schools core courses, updating the online request forms, and identifying uncommon needs policies and procedures.